Do you live in an area that ISN’T friendly to the idea of being self-sufficient? Are you relegated to only being able to dream of fresh eggs daily, or raising your own food? Do you have to fight with zoning or HOA rules that seem outdated? In an urban area, not everyone has neighbors like we do. Without our neighbors being very open, kind and willing to be bribed with fresh eggs, meat and veggies, we would not be able to do all the things we do on the homestead. Not everyone can raise turkeys, meat chickens, laying hens, ducks, rabbits and have a huge composting area smack dab in the center of town. I realize this, and am truly grateful for the opportunities we have. And, yes, the tide IS turning…even in our little town, chicken coops are starting to pop up all over, as well as yards being tilled into gardens. It’s really exciting to see, to be honest. If you don’t have friendly neighbors, are you left to only purchase your eggs and meat from a grocery store or local farmer, if you are lucky enough to find one? Well, maybe not. Quail farming may be the answer for you. This is why you should consider raising quail for meat and eggs. What are some of the best reasons for raising quail? Quail are tiny little birds that produce tiny little eggs. they are small enough that you can fit 4-5 birds in a rabbit hutch and they will have enough room to move and be happy. Quail are easy to care for, requiring only a few minutes a day to feed, water and change bedding, or dumping litter trays. If you want to sell eggs, quail eggs go for a premium, and in my area that is around $8 per dozen. As you can see, there are quite a few reasons why you should consider quail farming. If you are looking for a new and easy homestead project, this could be the one for you! 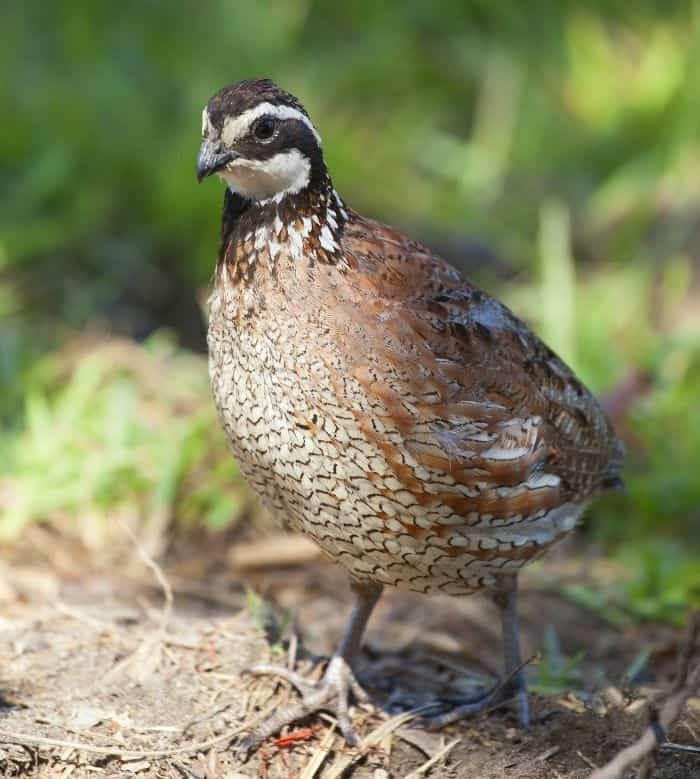 What are some of the reasons YOU would raise quail? But, is raising quail for everyone? Check out this post here to see why my friend has given up HER quail flock. Where I live in Spain quail is very popular. Since the eggs are small, they’re perfect for using in tapas. They’re often roasted and served, either whole or split. We’ve also had ground quail meat formed into meatballs, which is a very popular tapa. You can find both the eggs and the meat in the regular supermarket. I’m never t sure where your at in the US but they are very popular. Where would you find quail eggs to hatch? Online? I’m thinking of adding some of these little guys in addition to my chickens. They of course will be separate. I have been looking into raising quail for awhile but have been sidetracked with all the homestead changes I have been making. I already have chickens, 22 of them to be exact. Quail seems like such a fun animal. I live and homestead in central Florida on 15 acres and I dont hear about them to often. I wonder if the heat may be too much for them? Or maybe they are everywhere and Ive been oblivious. Great post! Thanks for striking my interest again! My experience is that they are like chickens. If you provide shade and fresh air, plenty of water they should do just fine. My Grandad raised them for years, acquiring his in a trap and moving them to various pens. They do need some shade from direct evening, hot sun of course, but easy to raise. He lived in an area of OK that would get very hot. Very tasty! That’s great to hear that your family has done this before! What a great legacy to pass on, raising your own food! I don’t know if there is a difference between desert quail and an (?) ordinary quail but we have many clutches that come everyday to be fed by my hubby and I. They are “free range” and are fascinating to watch, they bring the chicks back to meet us as soon as they can. They can be brutal with chicks that end up in the wrong clutch. It is a pretty harsh world for them to they may bring 10 to 12 chicks the first day then the numbers dwindle very quick – if lucky 3 actually make it to adult stage. I am just a watcher nothing more. I have had quail off and on for over 26 years . I finally got rid of my chickens and just have quail . I agreed and I’d love to read more about quail farming. I have a quail farm, I can tell that this is easy except the noise that a male quail creates. But that is not that loud but annoying. Another thing, when you’re growing quails commercially, some time the demand goes down. Don’t get upset! try to sell in deferent places! people will love them, as they have low fat, good taste and looks beautiful.